Sometimes I feel like the guy on the left when I see how Christian’s fail in the game of life. It’s a thought that’s been on my mind lately as I’ve witnessed multiple people upset over a comment from somebody whose mouth was engaged when their brain wasn’t. If I got mad every time someone hurt my feelings I would be mad every day… I just don’t have time for that. This is not a self-righteous rant, because I do fail to follow my own advice pretty often, I don’t get mad every day, but I have my days. It always shocks me the entitlement of some people who actually believe they’re “doing you a favor” by pointing out an obvious flaw, feel compelled to belittle you or are just plain crass when it comes to social etiquette. And Christians are often the worst! Because, after all, they’re called to go out into all the world and make them feel inferior… or so it would seem. That must have been in one of the funny versions of the bible, because I’ve never read it in the King James that that’s how you win souls to Christ. If I discuss politics, I make sure I’m in the company of like-minded people. (Most everyone’s mind is made up. You won’t change it.) #WhoTiesThePresidentsShoes – I assumed we were like minded. If someone is obnoxiously rude I clinch my lips together like the “church lady” and say nothing, because you can’t fix mean with mean. #YouCantFixStupid either. Every day our lives hinge on what transpires in the course of that day. One phone call could drastically change the order of our lives, one conversation, or one decision could have us hastening to the throne room asking God to intercede. The daily news and social media are filled with those stories. And seldom ever is it that there is a single person involved. The circumstance may revolve around that one person, but there’s usually a long list of people in tow, friends and family that are affected vicariously. When Abraham received his marching orders from God that decision not only affected his own life but his wife, nephew, servants, etc. on the relocation of their family. No doubt there were some midnight conversations of debate, wonder, excitement, perhaps even an argument or two, but praise God for the faithfulness of the man of God who lead on and make decisions based upon God’s wisdom, not his own. The word “Bethel” means “house of God.” And the word “Hai” means “heap of ruins.” So Abram was between Bethel and Hai. Just to the west was the “house of God,” and just to the east was the “heap of ruins.” Sound like any decision making you’ve experienced? I often find myself just west of Hai. I fly by the seat of my pants, make decisions on a whim, leap and the net will appear attitude and all the while my wonderful Lord waits for me to come crawling back west. Praise God for the scripture that reminds me that our Heavenly Father has forgiveness as far as the west. As far as the east is from the west, so far hath he removed our transgressions from us. Like as a father pitieth his children, so the LORD pitieth them that fear him. Abram’s decision was of God, he was right in leaving. But we’re not always in that position, are we? Our people don’t always make decisions with our best interest at heart. We don’t always make decisions with our peeps best interest at heart; we’re closer to Hai than Bethel on a pretty regular basis. So what then? Even Abram in his obedience journeyed to a land of famine. Do you think he got the eye brow from little miss attitude Sarai… probably. It is this time that there is nothing left to do but trust. Whether you are the one who transgressed or the victim of the transgressor… hit the altar and trust. I’m not sure they even do it any more, with no more television than I watch I very well could have missed it. But if you’re of any age at all you remember the feeling when that high pitched sound would come on along with the colorful test patch during your favorite show and it was the longest 60 seconds of your life. You’d be just on the edge of throwing a fit and it would end. Well…I’ve been just on the edge of throwing a fit lately as God’s allowed me to go through my own little test patch. As a kid I felt as though that emergency broadcast test was put there just to annoy me. What possible purpose could a high pitch noise and a rainbow serve? Tests and trials of faith generally spring forth without warning and can be on a number of levels depending upon what the Lord allows. Mine seems to be more on the dull ache side, not the extreme. The extreme would be what a family in our community is now facing; the loss of a husband, dad, and granddad to a tragic tractor accident yesterday, that’s the ultimate test. Please pray for them in the upcoming days, I’m sure they could use it. The point of the matter is we’ve all had those times when the sirens have alarmed and we’re warned that we’re under attack. The Holy Spirit speaks sweet peace to the soul when those siren’s sound; but the Spirit is quiet… you have to slow down and listen. Satan will scream louder and louder, sit quieter and quieter. Get in your closet and prayer, get in your Bible and read. Satan loves it when he can get you panicking over something. Because it’s a fact if you’re running around in solo survival mode you’ve got your eyes off Jesus. We need to stand behind God, not in front of Him flailing our arms, God already knows what you need By making a spectacle of yourself you’ve just alerted the enemy and anyone else that you’re not trusting God. That rainbow patch can certainly serve as the reminder that God gave to Noah at the end of the flood. He placed the bow in the sky as symbol, a covenant of Grace… although I have to wonder if sometimes He’d not like to tie a knot in that bow and scratch the idea of preservation. But unlike man God’s Word is faithful and true. Regardless of the circumstances around us, the people who let us down, the chain of events that befall us… God’s patch of protection covers us all. Short and sweet blog today… just needed to reassure myself that God has me covered. I love pickin’ and grinnin’ with my bluegrass friends. It makes my heart happy to play “Old Joe Clark” and “Angelina Baker” on the fiddle and to strum my way through “Child of the King” on the guitar. There’s something about music that makes life fun! I feel the same way about serving Christ only multiplied. Whether it’s sharing the gospel in word or song you’ll find me grinnin’ ear to ear with unexplainable joy in my soul. That is why I don’t get sad sack Christians who are spoiling the fun for the rest of us and not giving anyone who’s lost a desire to know the One who put a giggle in my soul. At a local bluegrass event last night I invited a fella to church and made him very uncomfortable. He said he couldn’t go to church because it always seemed like the preacher was preaching right at him. I told him that that’s how it was for every one there; there was a personal message from God to everyone who attended. I tried to explain to him what fun we had in church… he smiled and nodded politely and quickly changed back to a less convicting subject. And then I thought of a few saints that I know; if they’re happy about their salvation they forgot to tell their face, their mouth and their attitude. Is it any wonder that a lost and dying world doesn’t see the need for Jesus, they can miserable in their own right? As we played music and laughed in the fellowship of musicians (they’re highly tolerate of my inability to cut the muster with their masterful bluegrass skills) they loved me anyway. 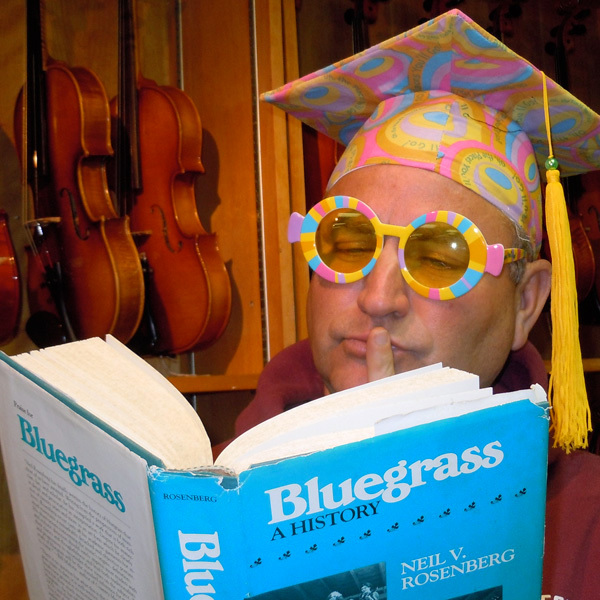 Diehard bluegrassers can be a tad clickish. They’ll kick you out of the club for playing drums. It’s true! Traditional bluegrass people play strings, drums don’t have strings so they’re not allowed in the band. Well, I know a few Baptist who feel the same way about Methodist and visa versa. Just sayin’…. And all the while the world around us dies and goes to Hell because the church spends more time worrying about who’s got sticks and who’s got strings. Can I get a witness? Enough already. Just speak Jesus. And smile for cyrin’ out loud. Will the religious Pharisees and Sadducees please get with the program? Church is fun! And the really funny part for me (although it’s not really all that funny) is your reward is your grumpy britches. Me? I get to have a party down here and in Heaven! But the really sad part about it is that our friends and family believe that there’s no joy in Church because there’s no joy in the face of the church they see. It’s Saturday… and my thoughts are already on Sunday, because I anticipate joy in the house of the Lord. If you’re a child of God that should be your heart as well, else you’re living beneath God’s intended design. Seasons are one of my favorite things to write about. Every season of the year stirs an excitement in my soul; the seasons of life not always so much. We arrived at the beach this week just as their season was changing. The tourist were dwindling down to a few; I could count 30-50 people at any given time on the beach directly in front of our hotel. The shops had marked down merchandise and many had even closed down. It was a perfect season for us because the cost was much less and the crowds were gone. We enjoyed an evening on the beach with just a few other people milling around taking in the last of the summer waves. The lights in Heaven that men are so curiously entertained by have not just beauty, but purpose and names. Who but God can do those things? And if we believe that God can control the constellations, creation and seasons, can yet He not control the seasons of our lives? And thereby the beauty of the upper world blesses the world below. One advantage that we often take for granted in the country is star gazing. A clear West Virginia night sky is filled with countless stars that twinkle and dance across the Heavens for our entertainment. Just that little bit of twinkle can cause you in childlike splendor to break out in a rousing rendition of “Twinkle Twinkle Little Star.” The same way that just a little twinkle of light on a dark day in our life springs joy in the soul; a glimmer of hope is all it takes to cause sadness and heartache to flee. Are you in a season of uncertainty? Perhaps you’re in a season of harsh winds and weather? I encourage you as I encourage myself, “Don’t lose heart Christian soldier… God’s got this.” Just as God created each star with purpose and named them every one so did He design you and I. There is a purpose in our season and a hope on the horizon that from this time God will spring forth a newness that will excite our soul. There’s nothing quite like waking up at that the beach to get a full understanding of the fullness of God, the vastness of His creation. The very fact that man in all is wisdom, which is not as much as a grain of sand in comparison to the Lord, cannot explain His Creation nor understand His redemption. We’re grateful for it… but when it comes to forgiveness we as mere mortals have to forgive again and again and again to keep the slate clean for those we love. We forgive… Satan reminds us… we forgive again because we love them. God just simply… forgives. We have lofty expectations of those we love, and yet expect God to turn a blind eye to our short comings. We’re fickle with our love for the most part. There are a few in our circle that we love regardless of their faults and failures, but we love none like God loves us… endless. Not as the priests of Old Testament times who sacrificed the blood of animals on the altar for the sins of man, only to have to repeat the process again because that atonement didn’t last. But the blood that one drop of would have cleansed the world forever, and yet He was willing to shed it all. Men and their works could not do what Jesus did. We don’t have the power to forget. We have a bucket ability… our limits of forgiveness and tolerance are about a bucketful. We empty it and then have to refill with the grace of Jesus when He reminds us that we too are broken. Those commandments and laws that the Old Testament priests tried to keep and to preach are not void, they are God’s expectation of holiness, but unattainable in the our sinful state without the redemption of Jesus Christ. I have a hard enough time being good with the Holy Spirit dwelling within me, I cannot imagine having to live making animal sacrifices for my mistakes… there’s not enough critters on the earth. That bringing of a better hope!! Oh my starts what a thought that is this morning; that for every wave that crashes onto the shore, there is a better hope in Christ Jesus. For every mistake I make, for every time I want to stand accusingly and point my finger at someone for their mistakes, God’s endless supply of grace reminds me that I have no right. He has given me an endless forgiveness. For all the millionth chances God has given me, how can I not give someone else another chance? Praise God I have a hope! That when I mess up I haven’t cut myself off from God, but just as the endless view on the ocean shore, that’s how far God casts my sins.